The number of microservices running in enterprises increases daily. As a result, service composition, governance, security, and observability are becoming a challenge to implement and incorporate. A “cell-based” architecture is an approach that can be applied to current or desired development and technologies to address these issues. This technology-neutral approach helps cloud-native dev teams become more efficient, act in a more self-organized manner, and speed overall release times. In this keynote, Asanka will introduce the "cell-based" reference architecture, which is API-centric, cloud-native and microservices-friendly. He will explain the role of APIs in the cell-based approach, as well as examine how real applications are built as cells. Asanka will explore the metrics and approaches that can be used to measure the effectiveness of the architecture and explore how organizations can implement the cell approach. 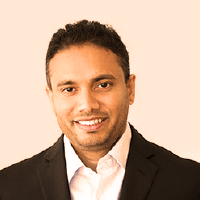 Asanka's goal is to connect humans and technology by helping organizations implement digital transformation programs that result in consumer-driven digital applications. In his current role, Asanka drives efforts to create, refine, and enhance WSO2's corporate reference architecture and is responsible for spearheading a thought leadership outlook that defines WSO2's corporate reference methodology for development, customer success, and implementation. Working closely with customers, partners, and analysts, he evangelizes WSO2's technology vision. In his previous role as VP of Solutions Architecture, he gained extensive customer consulting experience and in-depth knowledge of solution architecture. Asanka has over 20 years of industry experience, which includes designing and implementing highly scalable distributed systems, SOA and microservice architectures in the financial domain, mobile platforms, and various business integration solutions. He is also a committer of the Apache Software Foundation.